Last weekend my family helped me ring in a new era, my thirties. We have a magnet hanging on our fridge that appropriately fits my outlook on life. “Growing old is mandatory, growing up is optional!” Though my age has rolled over to a new decade I will always slow down to enjoy growing old with my kids and family. So showing my #DisneySide seemed appropriate for this particular milestone. Disney has been there for many others: engagement, honeymoon, anniversaries and now another birthday. The theme came together when my #DisneySide at home celebration kit arrived. Thanks to Mom Select and Disney for selecting me as a Disney Side @ Home Celebration host. 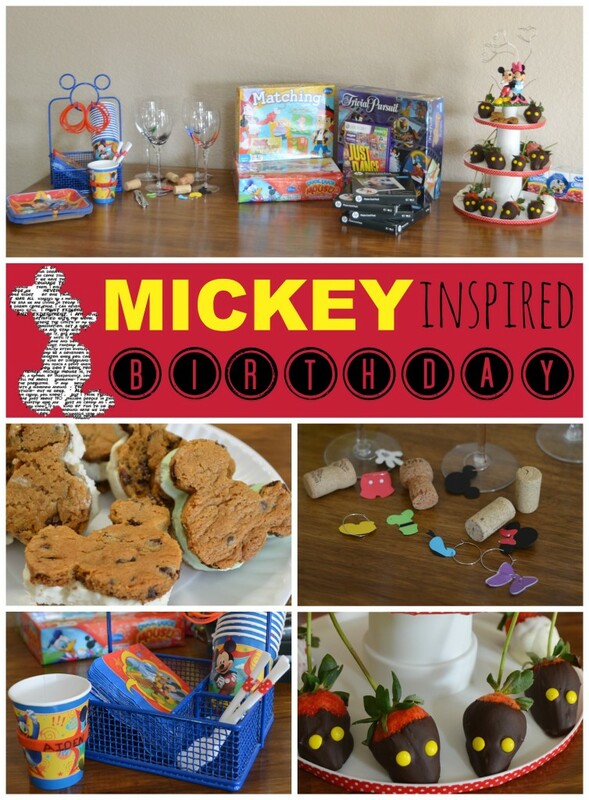 We had all the essentials to host a Mickey inspired birthday party. So what is this #DisneySide thing? Surely you’ve seen the videos; a comical dad making a mess in a home improvement store when a fluorescent light becomes a light saber. Your Disney Side shines when you’re feeling a little adventurous and playful. We let ours shine through food and fun, at our monthly family game night. 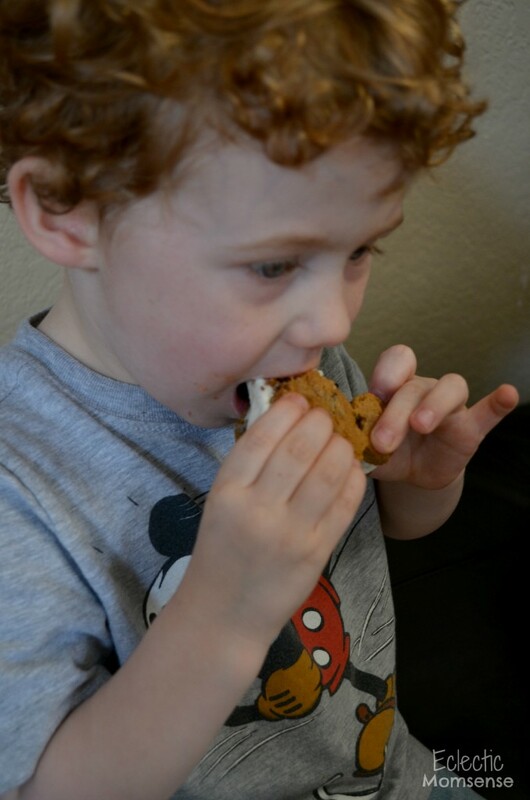 My absolute favorite Disney Park’s treat are the Nestle Tollhouse Ice cream sandwiches. Nothing tastes better on a warm day in the Magic Kingdom. It’s been my favorite treat at home too. They were the perfect birthday “cake” as an iconic Mickey head of course. There was also chocolate covered strawberry Mickey shorts for the grown-ups and cute little Disney wine charms. 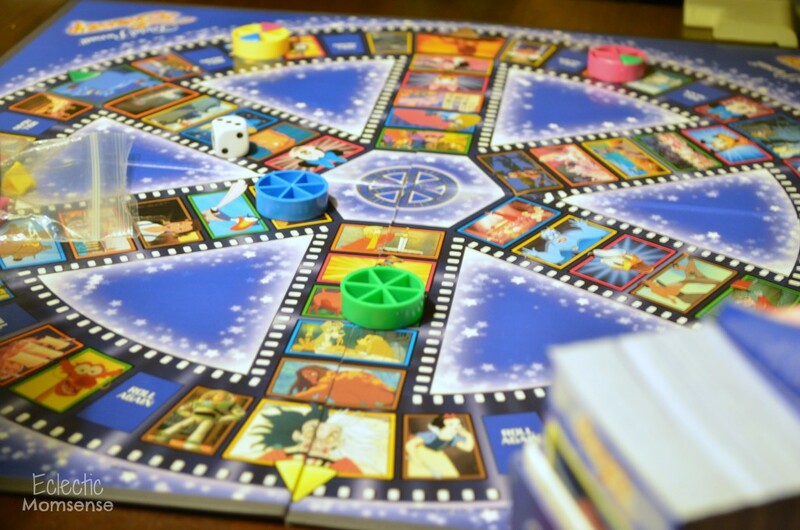 We ended the evening with a friendly game of Trivial Pursuit, Disney edition. Some had an unfair advantage over others in the Disney knowledge base. It was amazing to see how many questions Aiden got right, even some I had trouble remembering. Proud to be raising a Disney loving family. Looking for more inspiration. 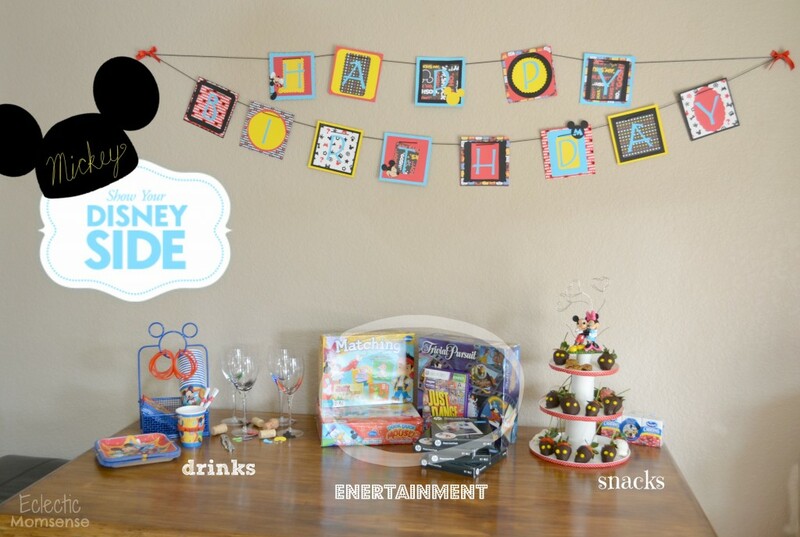 Checkout these other Mickey themed party crafts. Disclosure: I received a special hostess gift from Disney Parks and Mom Select to facilitate hosting a #DisneySide party. No compensation was received, nor was I asked to share. All photos and opinions are 100% my own.